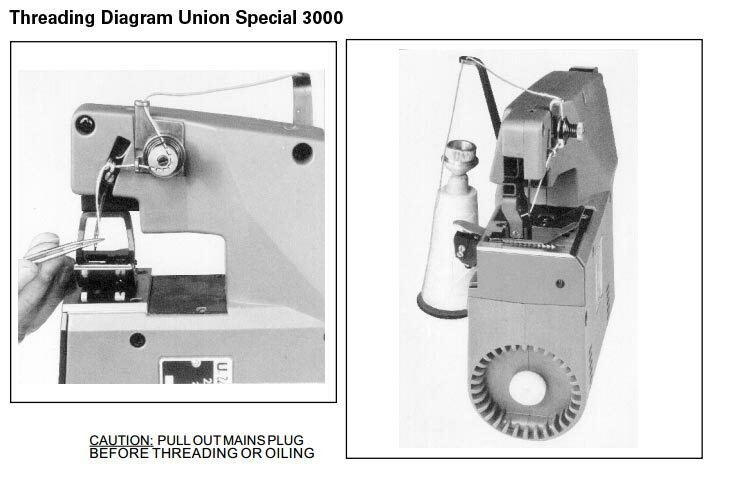 The Union Special 2000 and the Union Special 3000 are now replaced by the Union Special 3100. The 3000B Portable Bag Closer is a light weight, well balanced machine that fits perfectly in an operator’s hand. It’s designed for closing bags made of jute, cotton, linen, paper, or plastic (PP). The CE-approved direct drive 220V motor is fan cooled, with a 16 foot (5 meter) power cord. A fiberglass-reinforced housing and dustproof, permanently lubricated ball bearings make the 3000 series a sturdy and durable work tool. An optional top lock spring balancer (Part 90191M1) is available for suspension operation. 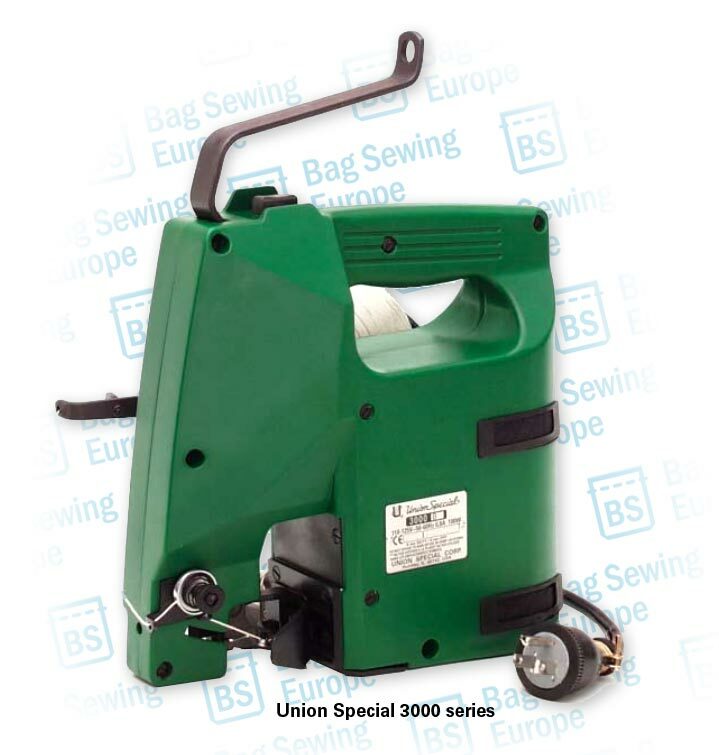 This entry was posted in Uncategorized and tagged single thread, Union Special 3000 B Portable Bag Closer 101 stitch. Bookmark the permalink.